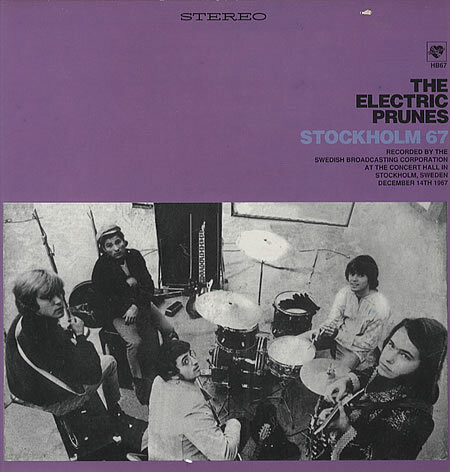 Live Psyche Out this Saturday, The Electric Prunes! Live Psyche Out this Saturday, in place of a Psyche Power Hour, will be none other than The Electric Prunes! This is from a review by Bruce Eder: The band’s lineup is from their second album, Underground: James Lowe (lead vocals), Mark Tulin (bass, organ, vocals), Ken Williams (lead guitar), the late Mike Gannon (rhythm guitar, vocals), and Quint (drums). Calling them tight would be an understatement — the band does a 45-minute set, parts of which (“Try Me On For Size,” “You Never Had It Better”) display long instrumental passages showing off Williams’ prowess on the fuzz-tone guitar and Quint’s powerful drumming to great effect; “I Had Too Much To Dream Tonight” is here, along with “Long Day’s Flight” and “Get Me to the World On Time” and solid covers of “Got My Mojo Workin'” and “Smokestack Lightnin’.” This live show presents the group as much more of a garage-punk band than a psychedelic band, though they still traffic in the currency of the latter, including lots of distorted guitars and organ cadenzas! Saturday 10th May 2014, 7pm UK, NY & SF. Get there on time and you’ll have too much to dream that night!